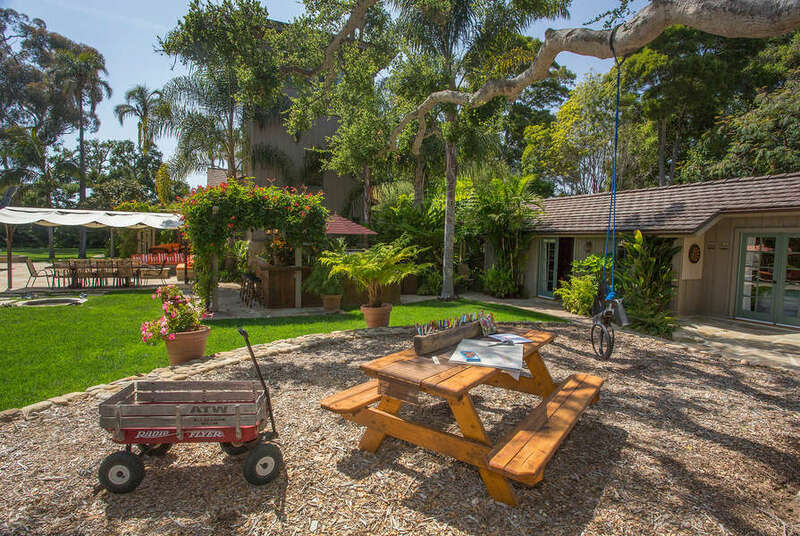 One of a kind LOCATION - This super private, 4 acre enclave of lush gardens, pools and footpaths offers that rare combination of feeling away-from-it-all while just a short walk to Montecito’s best beaches, shops and restaurants on Coast Village Road. Walking trails and wooded paths lead to the beach and to a legendary Montecito surf spot known as Hammonds Reef. Hop on a bike for a cruise down the waterfront to the Harbor, Stearns Wharf, State Street and more. 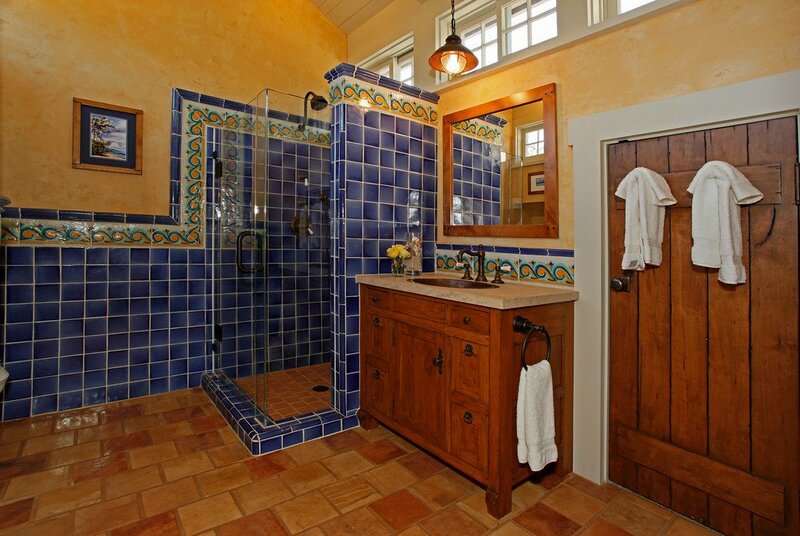 Return to Sea Ranch, close the auto gates and relax in total privacy and tranquility. 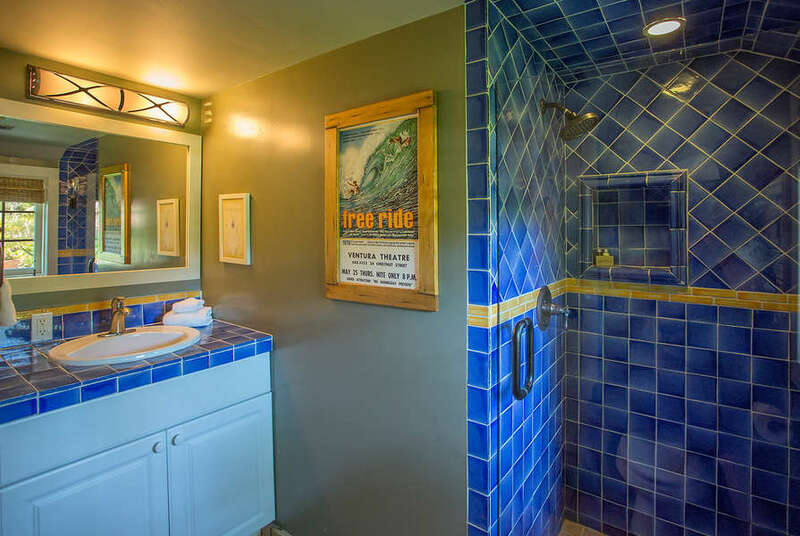 This ultimate family compound offers something for everyone - A deep blue pool with lap lane and baja shelf, built-in 10 person spa, fire pits and music literally everywhere, a deluxe alfresco kitchen, and a 50" flat screen TV mounted outside; so being in the pool doesn’t mean missing the big game. Enjoy gathering with family and friends or retreat to a hammock under a tree or tuck away in the tower or one of the cottages for some down time. At Sea Ranch, the options are extensive, and the choice is yours. A park setting offers swings, play structures, yard games, an in-ground trampoline, bocce ball, badminton, horseshoes and more to keep the kids busy all day! Delicious produce from organic vegetable and herb gardens, berry vines, and citrus trees are harvested and delivered to Sea Ranch guests each week. Wander the grounds, pick flowers, and truly relax. 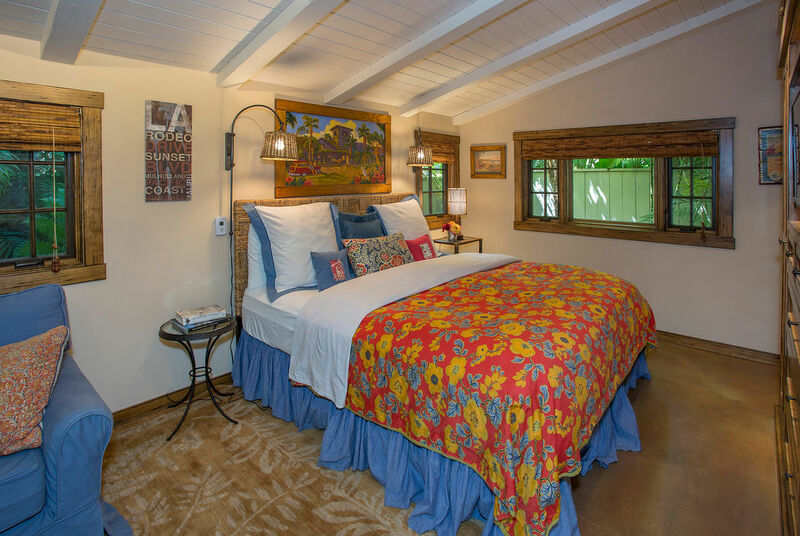 Originally built in 1903 and steeped in rich California history, this completely renovated residence is rich in warmth and rustic ambiance, while offering every modern convenience and upscale amenity possible. 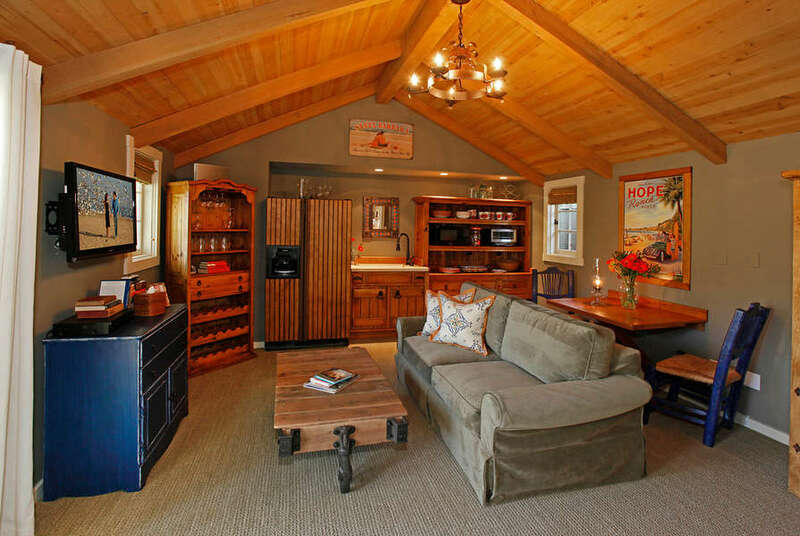 The four bedroom carriage house, attached three story tower, and two guest cottages offer charming character-filled space and privacy for everyone. 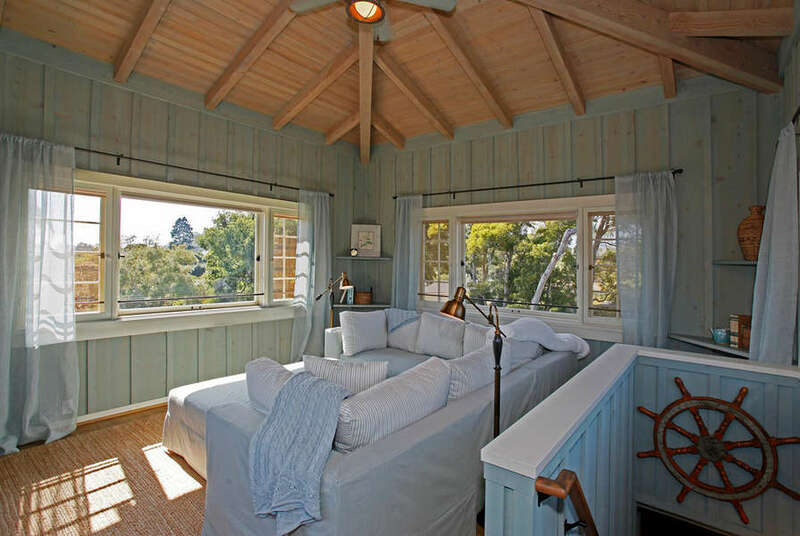 Throughout the home, cedar wood planks and beams from the original structure have been thoughtfully recycled. 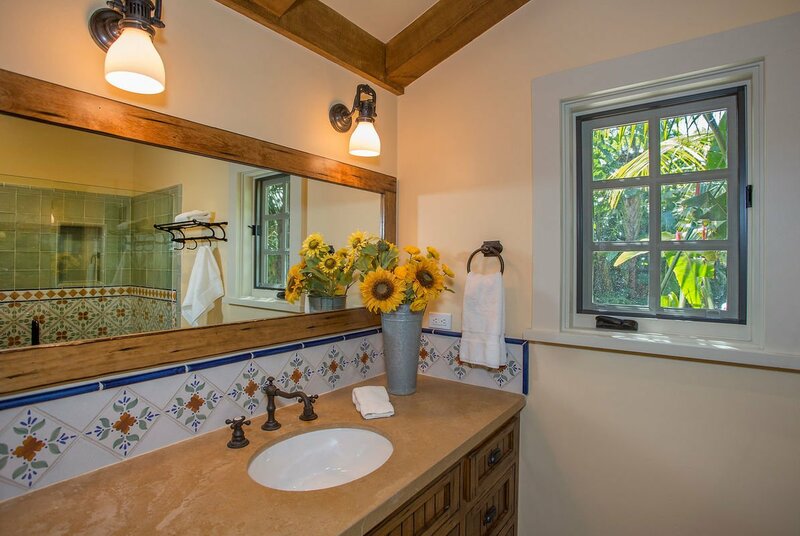 A combination of waxed white oak floors, French reclaimed terracotta tile and unique doors and windows add to the impeccable craftsmanship of this exquisite property. 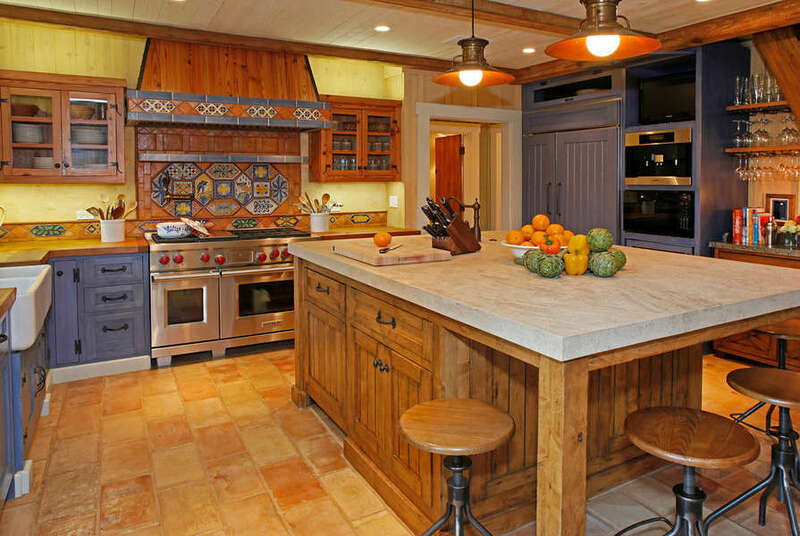 The Kitchen is everything a gourmet chef expects with professional appliances that include a 6-burner Wolf range, wine cooler, coffee station, Sub-zero refrigerator and 3 dishwashers for effortless meals and entertaining. The custom banquette is great for family-style dining. 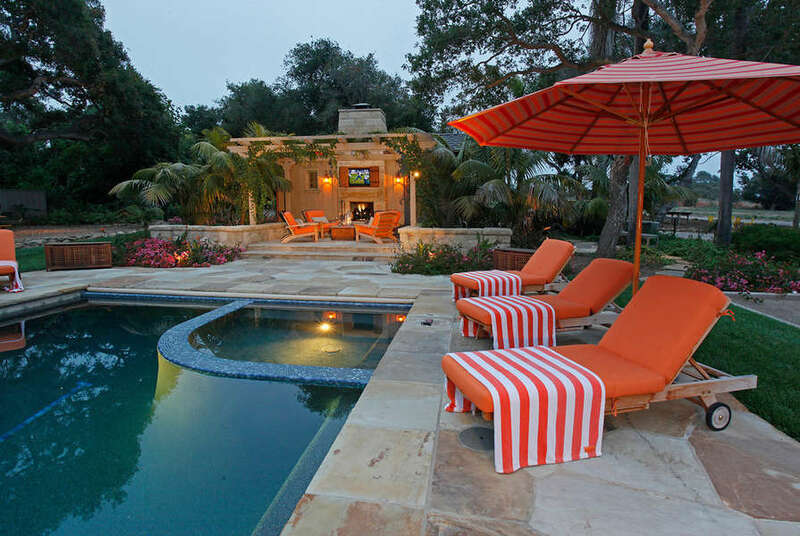 The expansive views of the pool area and surrounding grounds outside become the perfect backdrop to this comfortable and welcoming space. In the Living Room, soaring beam ceilings of cedar rise above a massive 2 story sandstone fireplace. This fireplace was fashioned around the original blacksmith's furnace structure in the carriage house. French doors flank this inviting room; one leading to the pool and expansive backyard, another leading to a private garden with a soothing fountain. The Media Room adjacent to the Living Room can be closed off with pocket doors. A 65" high definition TV is the focal point of the room. This is the quintessential gathering spot for movie nights, lazy sports-filled weekends, or for keeping busy kids entertained with the integrated Xbox-360 system. 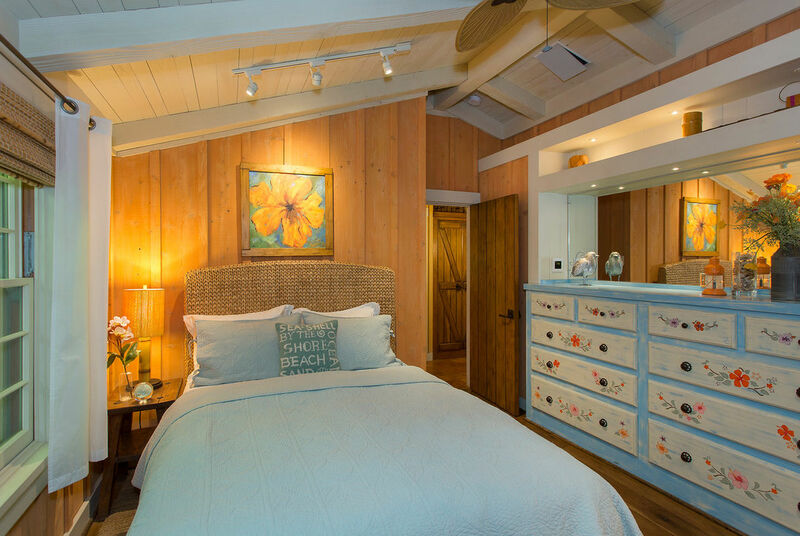 The first-floor Master Bedroom is located off the Family Room. 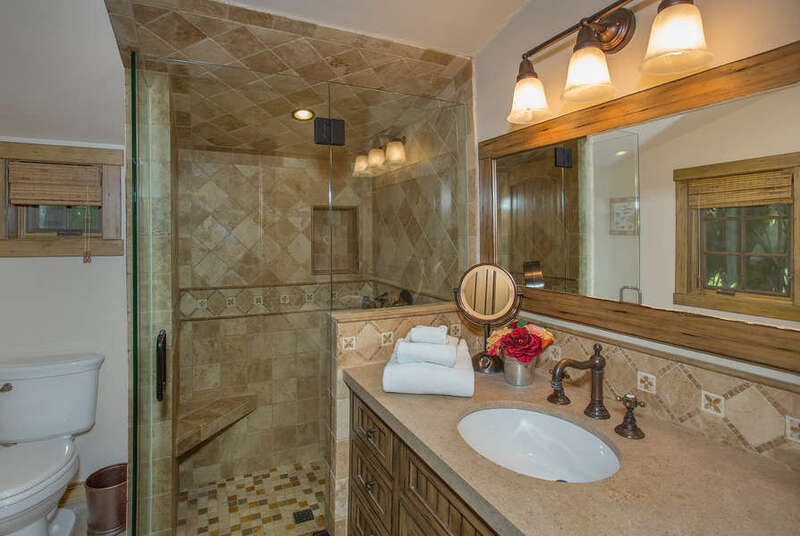 It boasts artisan handcrafted closet doors, built-in drawers, and brightly colored appointments. The Master Bathroom is special with handmade Italian tile covering the dual headed shower and his/her vanity. Up the stairs, in what was originally the farm's water tower, is the second Master Suite with a pleasing view of the backyard and pool. You can expect many restful nights in the queen-size bed under the high open beam ceilings. From here, ascend another set of stairs to enjoy views of the lush landscape from the top of the water tower. 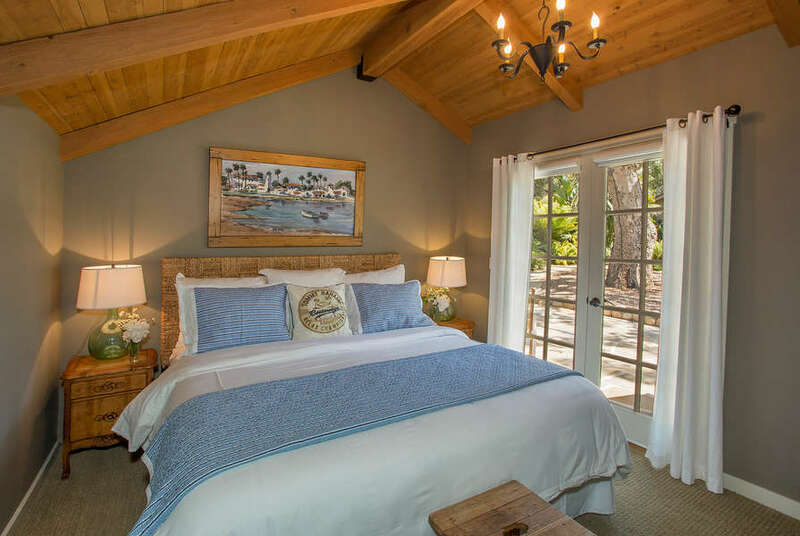 The soaring truss-and-beam ceilings are the crowning feature of this space which enjoys views of the Santa Ynez mountains, the extensive grounds, and the Southern coastline. 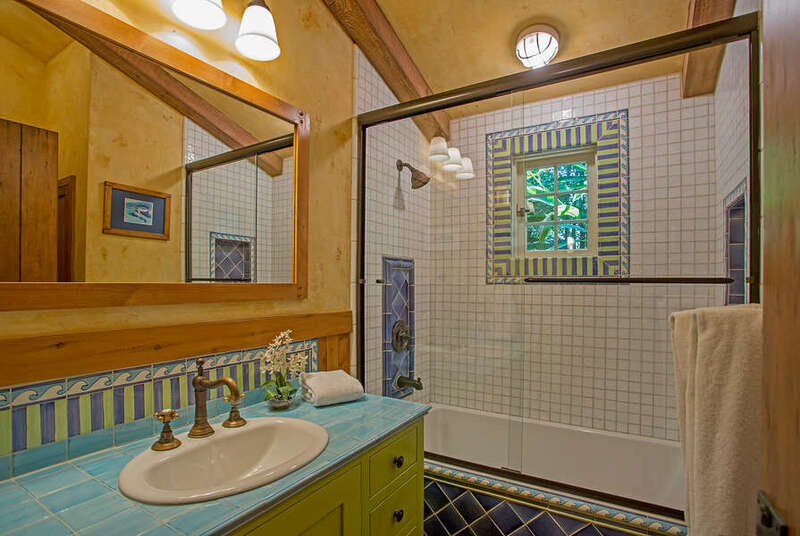 In a wing off the Kitchen is a third Master Suite with queen-size bed and en suite Bathroom, and across the hallway is a kids bedroom with two twin beds and adjacent Hall Bathroom. If you must, there is a convenient office nook just perfect for doing bit of work, but don't work too hard, there is too much to see and do outside! Separate from the main house, offering privacy and flexibility, are two additional cottages with kitchen amenities and full bathrooms. Each is equipped with a king bed and a pull-out sofa bed for the kids. Formerly the barn, the one bedroom Pool Cottage rests in the shade of mature oak trees. French doors from both the Living Room and Bedroom open to the backyard with pool views. 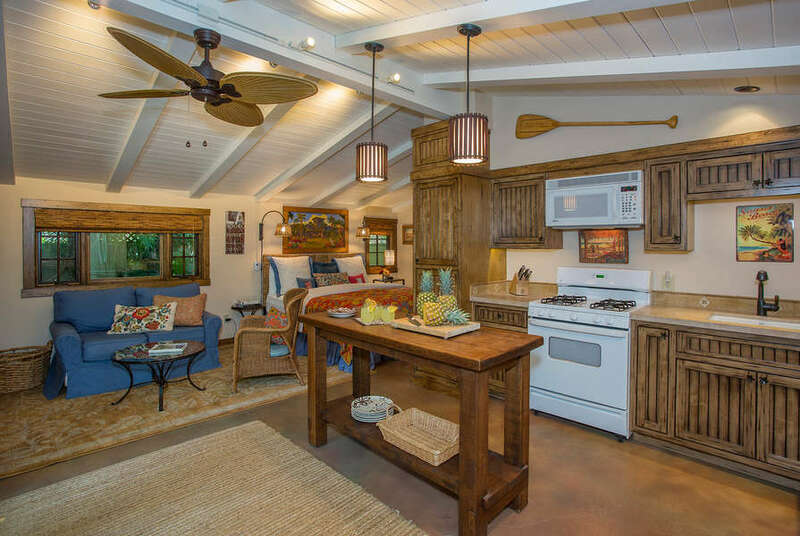 The Garden Cottage, a quaint bougainvillea covered studio, has a full Kitchen and is easily accessible from the inner driveway courtyard. 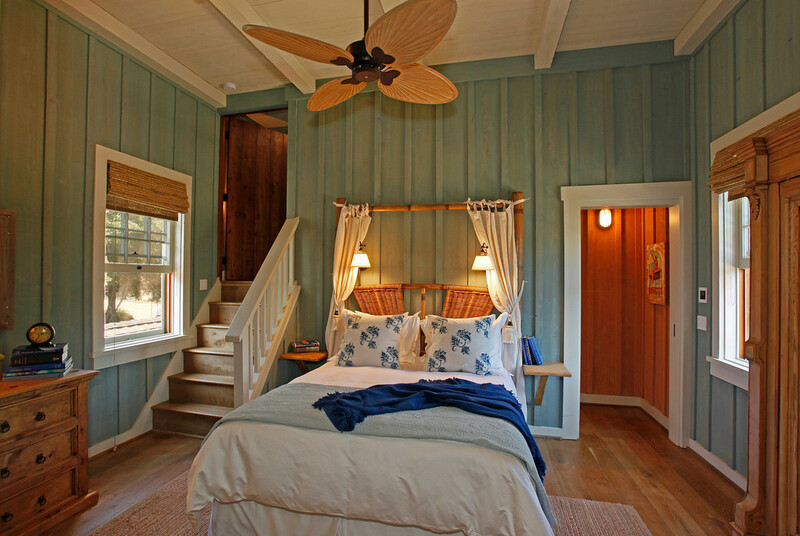 Either cottage is an excellent option for separate families, or, guests seeking a hideaway all their own. 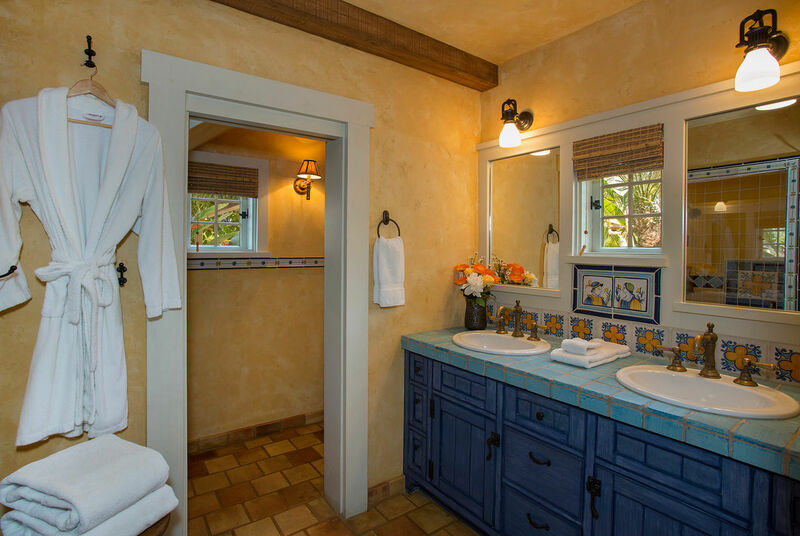 There are laundry facilities at the Main House, Garden Cottage and the Pool House. 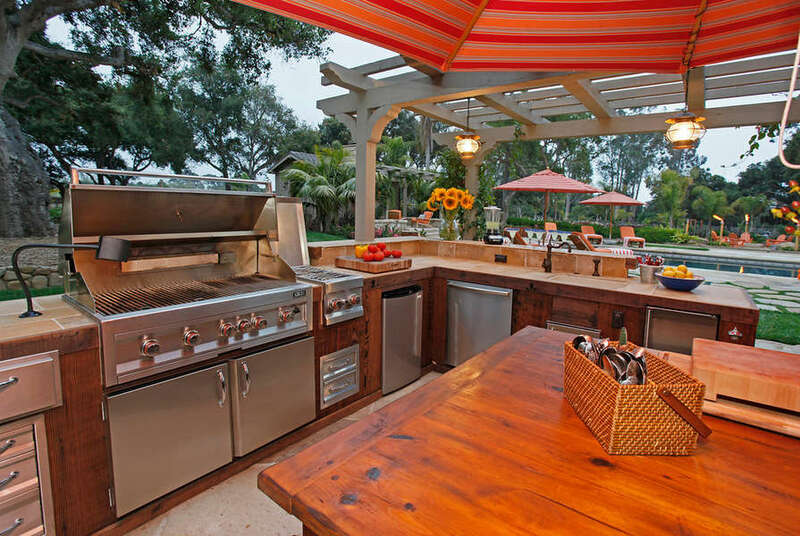 An outdoor Kitchen features a 5-zone grill with rotisserie, ice maker, refrigerator and dishwasher and is fully stocked with dishes and service pieces to make setting an outdoor table colorful and easy! Dine al-fresco at the large farm table under canvas canopy with heaters and lights that create ambiance and a bit of warmth on cool nights. Plenty of comfortable seating offers any number of places to enjoy the star-studded skies at night, or, a nap during the day! 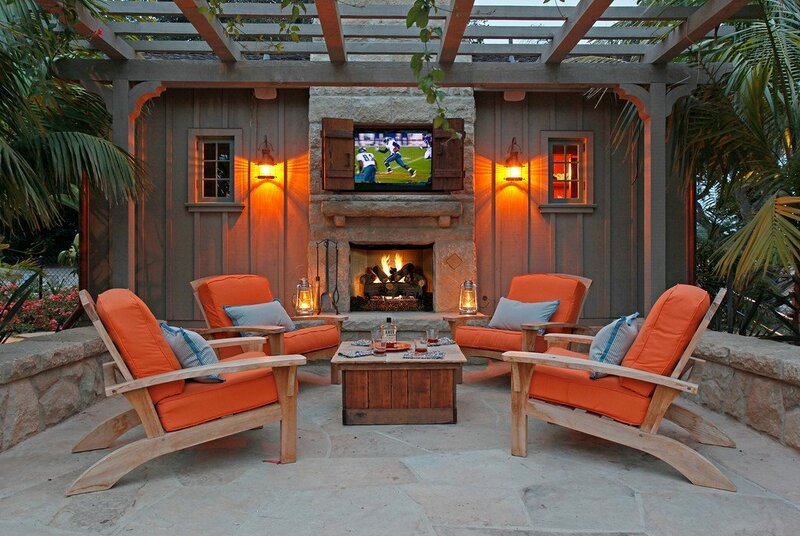 Four fire pits add a warm glow to the banquette seating, covered outdoor Living Room, cabana, and “Survivor” style tropical gathering area. 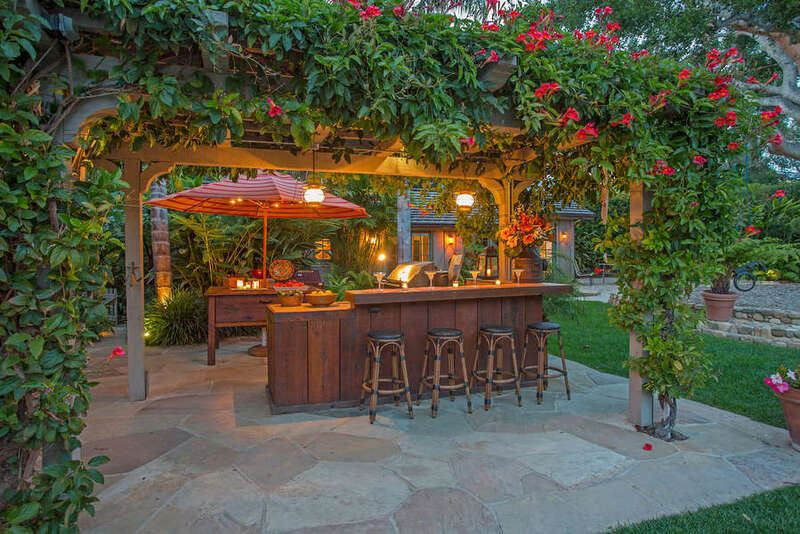 Comfortable year-round outdoor living is the goal of this fabulous property. Sea Ranch is resort-style living of the finest caliber. 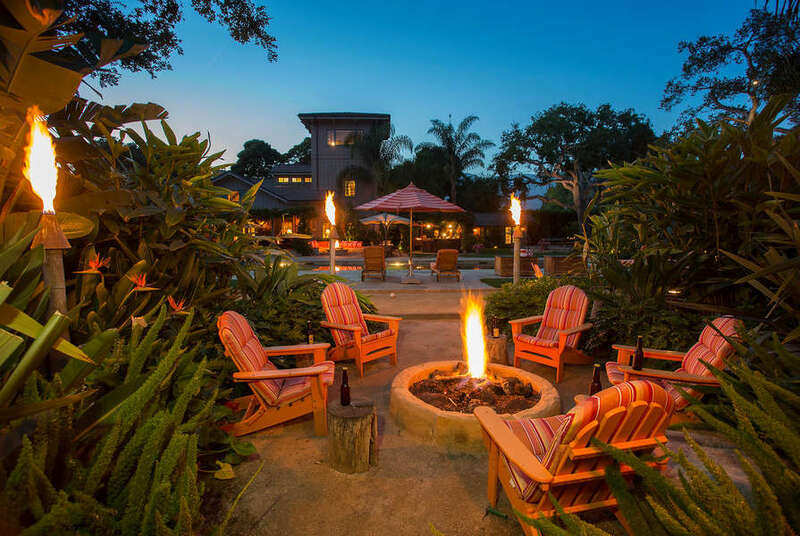 With its rich history, relaxed style and luxury-rich amenities, this very special property will transform your well-deserved vacation into a one-of-a-kind experience.